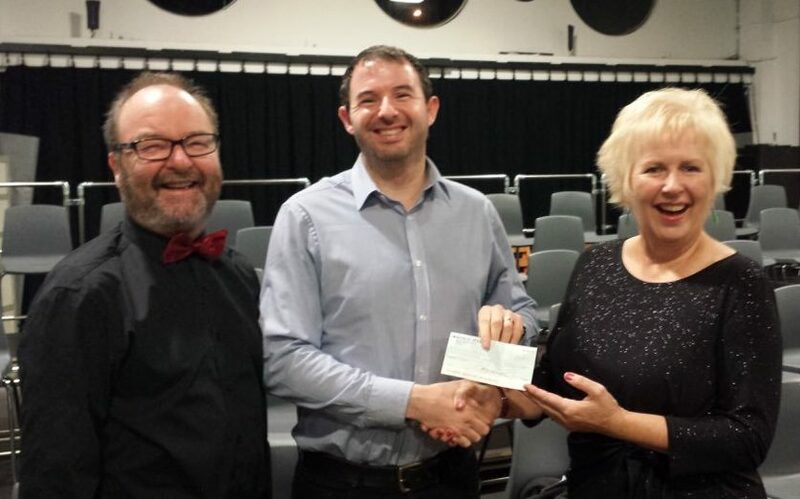 Through the generosity of our audiences, and from members, the choir has made donations to over one hundred charitable organisations within the members’ catchment area. This year the choir donated money to the St Joseph’s Centre fund which is linked to the local parish church in Balerno where we rehearse, and this donation was made in memory of the late Reverend Louise Duncan who worked so enthusiastically in support of the local community. The Royal Voluntary Service is an organisation dedicated to making life better for older people through a variety of activities and many people are familiar with their work supporting patients in hospital through their cafes, shops and trolley services. One of the tenors in the choir, volunteers with this organisation and nominated them for a donation. Therapet is a service which sits under the umbrella of Canine Concern Scotland. Research has shown that being able to have physical contact with a pet can have beneficial effects on our health and happiness, even just stroking a dog has been shown to help patients recover from illness. The Therapet service matches and introduces volunteer pet owners and their dogs to places such as hospitals, care homes and hospices so that patients or residents can benefit from and enjoy the company of an animal. One of the choir’s basses volunteers with his dog with this charity and nominated them. Playlist for Life is a charity which encourages families and caregivers to create a playlist of personally meaningful music on an iPod for people with dementia. Early research findings show patients with a playlist for life are more engaged and involved in their care and social activities, and have fewer periods of stress and distressed behaviour. The Pentland Singers are delighted to support this pioneering work built around something so dear our hearts – that is, the power of music. Sistema Scotland, the charity behind the Big Noise which organises symphony concerts for young people. Presently they are raising funds to send young musicians to Venezuala in January 2014. Edinburgh & Lothian Prostate Cancer Support Group, which provides support for men diagnosed with this disease. Ravelrig Riding for the Disabled, a local charity that does excellent work in our community.